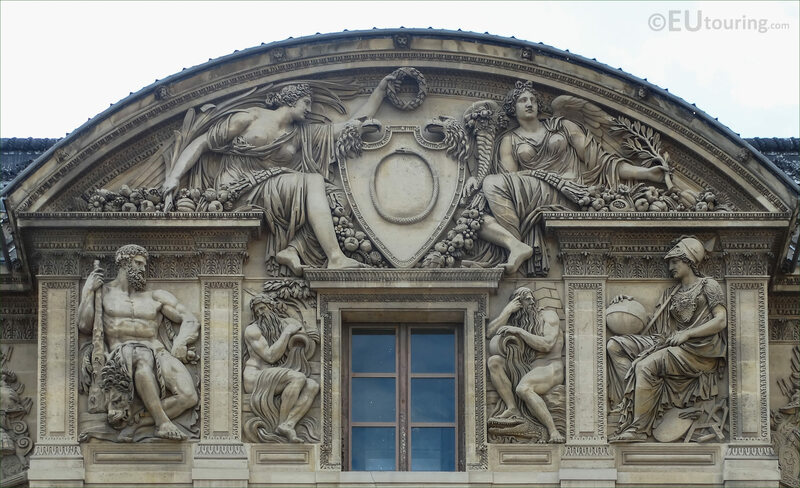 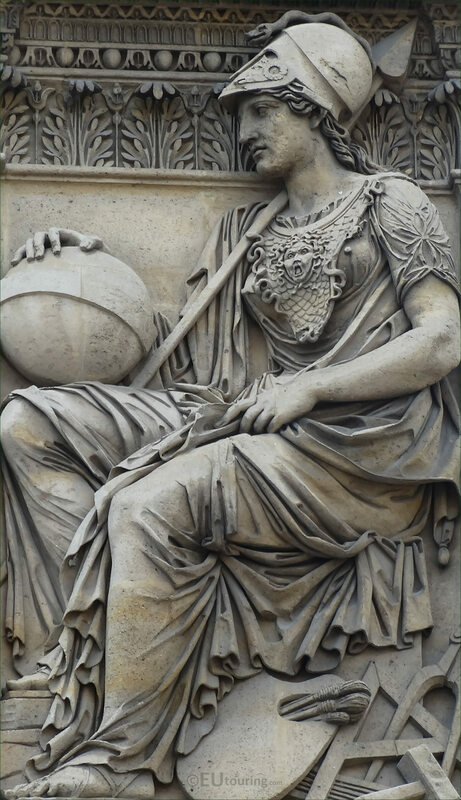 We were at the Musee du Louvre in the 1st Arrondissement of Paris, when we took these high definition photos showing a bas relief called Minerve, or Minerva in English, which was sculpted by Philippe Laurent Roland. 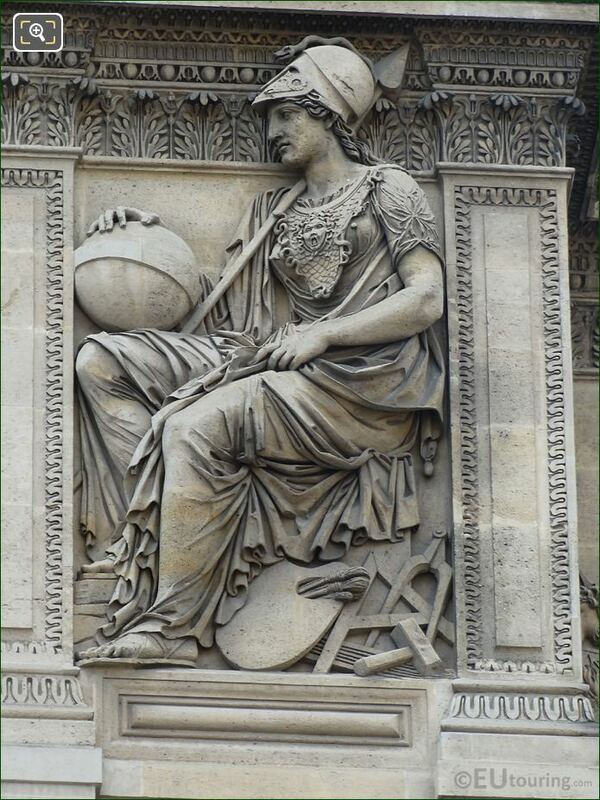 In Roman mythology Minerva was the Roman Goddess of Wisdom along with arts, trade or commerce and strategy, who became the counterpart to the Greek Goddess Athena, and in this first HD photo you can see some of the features relating to the Goddess Minerva such as a globe, compass, paint brushes and palette, etc. 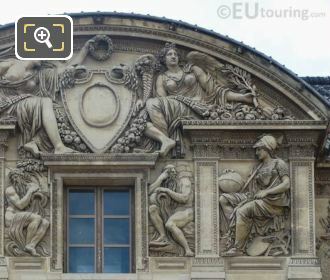 This next photograph shows the entire top middle section of the Aile Lemercier with the Minerve sculpture and others that were all produced by Philippe Laurent Roland, who was born in 1746 and upon arriving in Paris entered the studio of Augustin Pajou to become a French sculptor, having previously studied drawing in Lille. 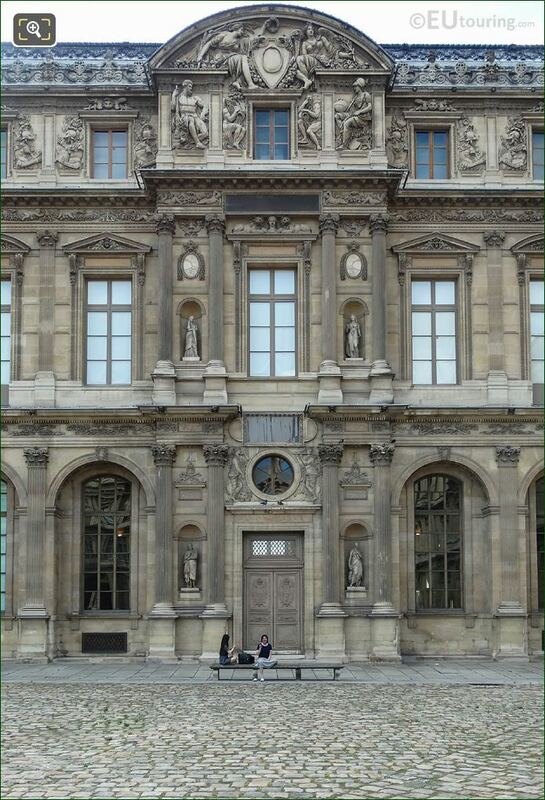 So when you are in the courtyard of The Louvre called the Cour Carree you can get to see the Aile Lemercier, and here you can see the entire middles section and the statue of Minerva, which was positioned to the far right hand side of the window on the third level below the pediment, back in 1806, for this historical wing of the former Palais du Louvre. And although Philippe Laurent Roland was not trained at the Ecole des Beaux Arts and even had to pay himself to study in Rome, he became well recognised for his talents, as you can see from the detailing on this bas relief sculpture with Minerva dressed in armour, which is a trait of this Roman Goddess of Wisdom always described in mythology, so this sculptor received many commissions to work on different tourist attractions including at the Chateau de Versailles.